Recent innovations in recruitment technology include chatbots that are being used for interview scheduling and screening. Today these are text-based products that converse with candidates using text messages or email. Google’s development of Duplex adds a voice component to chatbots that will soon make its way into recruiting. To get a sense of where the technology is headed next, look at two examples from Russia and Australia. 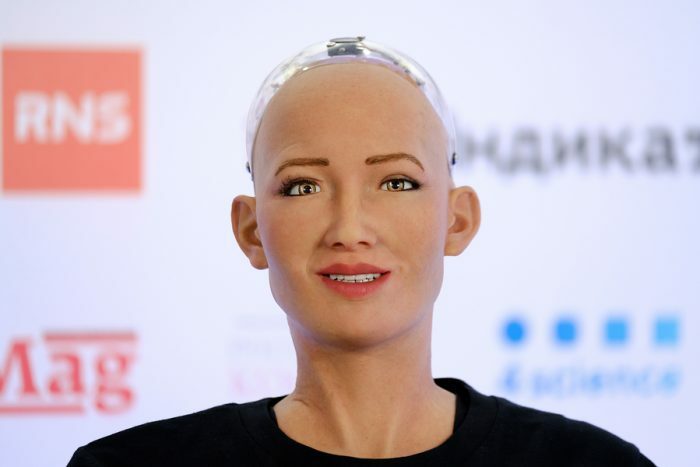 A Russian startup has developed Robot Vera — an animated chatbot that is being used by employers like Pepsico, IKEA, and L’Oreal to fill jobs in Russia. Vera is an application that automates the sourcing and screening parts of the recruitment process. Job descriptions are used to search for candidates and a script of interview questions are used for screening. The chief innovation in this product is the video interview component. Candidates interact with an animated screener, instead of just recording their responses to text questions. The product can conduct interviews in Russian or English. It can also respond to candidates’ questions. The quality of the animation in Vera isn’t about to fool anyone that they’re dealing with a human, but that will improve over time since the technology to create animation good enough to seem real has already been developed and is available for commercial use. Expect that it will be incorporated into bots like Vera within a few years. Venturing fully into the physical realm is Matilda — a small toylike robot, developed at La Trobe university in Australia. Originally created to help dementia patients, the robot can read human emotions and respond to them. Matilda is being tested to conduct interviews for sales jobs. Candidates are screened much like a conventional interview, sitting across from Matilda and being asked questions. The developers claim that the AI built into it can analyze people’s reactions and determine if a candidate would be qualified for a job, while free from biases and prejudices. For candidates who interact with Matilda the experience can seem bizarre — being interviewed by a toy. But remember that Matilda is a prototype. It is a social robot — an autonomous device that interacts and communicates with humans by following social behaviors and rules attached to its role. There are many like it, including Jibo, ElliQ, and Pepper, though it is the first that is being used in recruiting. There’s no compelling reason it has to exist in physical form to interview candidates, other than that it was available and could be adapted for use in screening candidates. Humanoid robots may very well be commonplace in the next 20 years, but they’re not needed for recruiting. Having a physical form does nothing to improve the recruiting process. Are We Headed to a Future of Robot Recruiters? We’re already some of the way there. Vera and Matilda are just the newest manifestations of AI or machine-learning that is making inroads into recruiting. Bots like Vera and Matilda combine machine learning and natural-language processing into a single product to deliver more efficiency, and perhaps more objectivity, to parts of recruiting. Both can screen more candidates in less time than any human. They don’t experience fatigue or boredom and are less likely to be affected by outside influences. Whether they produce better hires is another matter. It’s not yet known if the candidates hired by a process involving robot recruiters, compared to those hired by humans, get higher ratings for job performance or have lower turnover. The value of bots like Vera and Matilda extend beyond what they can do today. They also capture vast amounts of data needed to improve the algorithms that drive them. Recruiters also learn from their experiences, but it’s not easily shared, and many insights are frequently missed. Bots can capture minute details about behavior, and respond to cues that humans may miss. Bots like Replika and WoeBot show what’s coming next. These apps are chatbots that can emote. They exist simply for users to have one-on-one conversations with them. They quickly learn a user’s moods and learn to develop an intimate relationship with them, much like the movie Her. Chatbots for recruiting that include this type of functionality could well become more adept at screening candidates and drawing out details that humans may struggle to do consistently. The technologies mentioned above will come together, but that doesn’t mean humans will be replaced by virtual or physical robots. AI will bring a lot of value, but recruiting is a complex activity, and no AI product today, or in the foreseeable future, can go beyond its programming. That is, it cannot do anything more than complete a narrowly defined task. While it can get better at that than any human, pulling it all together to get a hire is still very much a humans-only capability.